SSL Certificate is a must-have feature to almost all business-related websites, which will help build the trust with your visitors. Besides, it’s also a ranking factor considered by Google and impact your website ranking in this industry most popular search engine. In below, we will talk about the best Cheap SSL certificate from free SSL, Cheap DV SSL, OV SSL, Wildcard SSL to highest security EV SSL. Free SSL certificate doesn’t mean unsecured. Actually, from the technical perspective, free SSL certificate is as secured as the paid one and more and more individuals and businesses start applying free SSL to their website. Many companies offer free SSL certificate right now, and the most popular one within them is Let’s Encrypt, which is supported by Google, Linux Foundation and more. Let’s Encrypt is pretty much standing for Free SSL Certificate nowadays. To Apply for Let’s Encrypt SSL is simple, but it’s not that easy for the beginner to set up everything on their own, and renew SSL regularly. So, for Free SSL, we recommend 3 well-known hosting companies in below who include it as free in their host package, and as their customers, you could issue the cert within 1 click and renew it automatically via their system. It’s hassle-free. Best cheap web hosting from $1.94/mo. 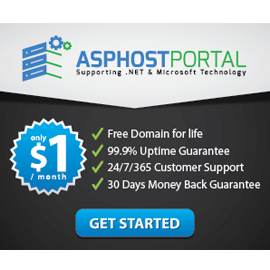 Australia ASP.NET web hosting with free SSD, and nightly backup, 30 days money back guarantee. Industry leading web hosting for ASP.NET, support multi version of ASP.NET, ASP.NET Core and SQL Server, 35% off now. Offering business-class web hosting with Free SSD, Free SSL, Unlimited Disk Space and Bandwidth, 30 Days Money Back. Price from $2.95/mo. Even though this Free SSL certificate could meet your needs in most case, however, it doesn’t offer organization identify features, and also it’s not the wildcard. So if you need more advanced features of SSL, then a paid SSL will be suggested and in below, we will talk about them. The DV SSL is Domain Validated SSL Certificates, providing 128-bit encryption. This kind of SSL certificate is simple to apply for. You just need to prove your ownership of the domain. The information in the WHOIS can help you pass the validation. Due to simple validation process, the DV SSL is generally issued within minutes. Some even is issued immediately. Furthermore, the DV SSL is the cheapest SSL certificate type. However, the DV SSL has clear drawbacks as well. Since it only requires the domain validation, your visitors still do not know who is really running this website. The DV SSL also creates chances for hackers to poison your DNS and then acquire a DV SSL for your site. The next step is to redirect your visitors to a fake website so that hackers can gain visitors’ information like credit card number and passwords. The best cheap premier DV SSL certificate, $250,000 Warranty included, up to 256-bit encryption, perfect for small businesses. Cheapest DV SSL from big brand Geotrust, $10,000 Warranty, issued in minutes, compatible with 99.9% browser. Best cheap DV SSL in the industry, low price from $14/year only, widely used by personal website and also small business sides. OV refers to Organization Validated. As its name shows, the CA will validate details of a company or organization that is going to use this SSL. Due to more complex validation process, it usually costs several days to install an OV SSL certificate. But the OV SSL certificate contains both domain name and organization name, bringing more trust. Check the best cheap OV SSL certificate in below. OV SSL is the most popular type of SSL certificate within businesses and organization. Symantec is most recognized ssl certificate brand in the industry, and it’s ultimate OV SSL choice for all business, $1,500,000 warranty included. Digicert is considered as the most technical SSL vendor, and it’s the brand trusted by Facebook, Google and more IT gaints. Best cheap OV SSL in the industry, Geotrust True BusinessID SSL certificate is the most popular OV choice by all sizes of businesses. EV stands for extensive validation. Namely, before issuing an EV SSL certificate, CAs will verify many things. For example, CAs will validate whether you company or organization legally authorizes you to purchase EV SSL certificates; whether the company/organization owns the domain that is secured with EV SSL; whether the website is active. Besides, CAs will also verify the name, address and phone number of your company/organization. Moreover, you website or organization should not be on blacklists of any government. Though EV SSL certificate is complex to gain, it offers the highest level of trust. Among the 4 SSL certificate types, EV is the only one giving green address bar. With the well-marked green address bar, visitors will instantly your website is secure. Best cheap EV ssl will a great combination of brand and also the price, $1,500,000 Warranty included, highly recommended to all sizes of businesses. Cheapest EV SSL which will bring your visit the highest level of trusts with the lowest price, $1,750,000 warranty inlcuded. Again, if you have Symantec to secure your website, it’s mean ultimate trust, $1,750,000 warranty included. Best for eCommerce and corporate sites. Wildcard SSL Certificates allows you to secure a single domain name as well as its first-level subdomains. For instance, with a Wildcard SSL certificate, you can get your www.example.com secured as well as other subdomains, such as blog.example.com, photo.example.com, mail.example.com, etc. Therefore, you will save a lot by use Wildcard if you have multiple websites to secure. Wildcard SSL is relatively expensive, and it’s only available on DV SSL and OV SSL. One of the best popular DV wildcard SSL, one cert to protect unlimited sub domains, and could be installed in unlimited servers. Comodo RapidSSL wildcard is popular within small businesses websites and webmasters, including companies hosting. Best cheap OV wildcard SSL, the most cost effective choices for organizations with $1,250,000 warranty included in cert. Secure Sockets Layer, namely SSL, is an internet security protocol to build encrypted connections between servers and clients. Servers can be web servers, mail servers, etc. Accordingly, clients can be web browsers, mail clients, etc. With SSL, all data transferring between servers and clients keep encrypted, private and secure. You may doubt whether SSL certificate is essential for your website or your email account. Our answer is that all depends on you. But you have to know that data are in plain text when they transmit between servers and clients. In other words, hackers are easy to intercept and acquire these data. So, if your website or email account usually has sensitive information transmitted, like credit card numbers, you had better install an SSL certificate, secure your website/email account, and improve credibility. To install an SSL certificate, you need purchase an SSL certificate from a Certificate Authority (CA). As a matter of fact, SSL certificates have many types, including DV SSL, Wildcard SSL, OV SSL, EV SSL, the SSL for the single domain, the SSL for multiple domains and so on. You can choose the SSL type based on your requirements.